A recent study published in Science by Tomasetti and Vogelstein suggests that variations in terms of cancer risk among tissues from various organs in the body merely amount to pure bad luck. In other words, cancer risk is linked to random mutations arising in the normal course of DNA replication of healthy cells. They also claim that environmental and genetic factors play a lesser role. The scientific community has primarily reacted negatively to this interpretation and promptly refuted it with qualitative arguments and empirical evidence. Joining these voices are Didier Sornette and Maroussia Favre from ETH Zurich, Switzerland, who uncovered the statistical fallacy at the source of the Science paper's conclusion. 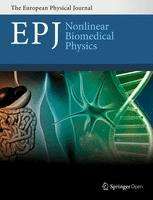 The key is to distinguish between individual organ risks and population risks, they wrote in recent correspondence published in EPJ Nonlinear Biomedical Physics. They also contend that the role of genetic and environmental factors must not be underplayed, even if these factors cannot explain differences in cancer rates between different organs. This counters the Science paper's interpretation that a large fraction of the variation in cancer risk among different organs can largely be explained by the number of stem cell divisions. In fact, the authors contend, the measurable difference between organs in terms of cancer rates are not mutually exclusive to the strong environmental and genetic effects on cancer rates. Your chances of getting cancer are primarily effected by your genetic predisposition to that state.